Who said good tasting-tasting dishes are hard to make? Chef John Dye provides you the right tools and instructions in cooking the best dishes around the world with easy-to-use ingredients. Indulge in the joys of cooking through these assorted recipes on appetizers, breakfast, desserts, sandwiches, soups and stews, main and sides. 101 Great Recipes: A Cook Book is an all-in-one, go-to recipe book when you’re having troubles cooking for guests or family. The instructions are simple, and the recipes are exquisite. John Dye lives in Mishawaka, Indiana. He is an author, model, actor, motivational speaker, spiritual counselor and chef. For many years he has accumulated the best-selling recipes all around the world. “Please don’t waste your time cooking food that people won’t eat. Only cook good tasting food that people will eat and enjoy. This book will help you do that. People love eating my food. 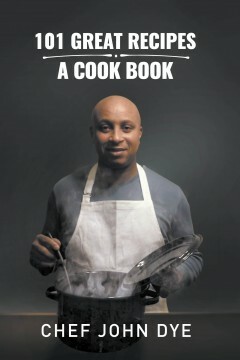 This is my secret to successful cooking,” the author says. 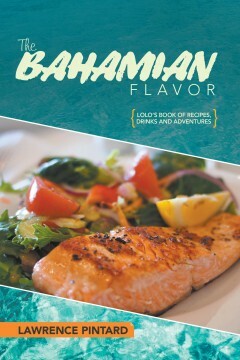 Lolo’s book has 3 parts; authentic Bahamian foods, Islands mixed drinks with party planning and complete bar facilitation, and deliciously healthy Raw Food Recipes. Learn about foods of the Bahamas and how to prepare them. Learn the in’s and out and professional ways to planning a party and the recipes for popular island mixed drinks. Also learn how to lose weight, lower your blood pressure, cholesterol, and reverse your Diabetes while enjoying Lolo’s delicious raw foods. Hi my name is LAWRENCE PINTARD; I was born in the Bahamas in 1958 and father of seven, 5 boys and 2 girls. I am a former member of The RBPF Band. After attending Blue Data technical school in New York I relocated to Georgia. In 2001, I went back to school and attended the University of Phoenix 2011 thru 2013. However, since writing is one of my passions and I have been writing off and on for most of my life, it’s a pleasure to present to you The Bahamian Flavor a book of recipes drinks and short stories. Fresh corn cut right off the cob, a bushel of peas, fresh baked muffins and other desserts from fruits you just picked; no, this is not a scene from days gone by, it is still possible to get that fresh taste you remember as a child. For areas that have local Farmers Markets, you know the food you are buying is fresh and local. 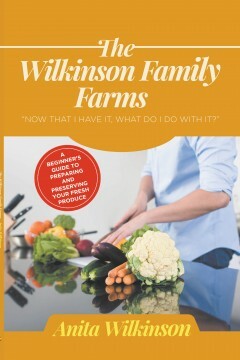 Hopefully this book will help even the novice learn how to easily prepare and preserve fresh, healthy foods for their family. This step by step book will show you what type of produce is best for preserving, what equipment you will need for freezing as well as for canning your fresh fruits and vegetables. Try the recipes which are made from those fresh fruits and vegetables. It is important these days that we know where and how our food is processed. With all the scares over the past several years, isn’t it time we take charge of we put on the table for our family? Growing up and then raising a family in rural Northeast Florida, farming has always been a way of life for us. For years I have enjoyed working side-by-side with my husband and children on our family farm. We plant, nourish, and harvest the crops knowing that the fruits of our labor will be well rewarded in the winter months ahead. It is important to me to be able to place a homegrown, great tasting meal in front of my family and friends. I so enjoy watching them all eat the food that was grown right here on our farm. I pray the next generations will value the work and benefits that we have in producing some of the foods we place on our table.